VC investment in companies with at least one female founder hit $3.6 billion in Q1 2018, up 60% from Q1 2017. While this seems like progression, that number is down 30% from Q4 2017. And when you look at exclusively female-founded companies, they received just $1.9 billion of the $85 billion total invested by venture capitalists in 2017, approximately 2.2% of the year’s total. 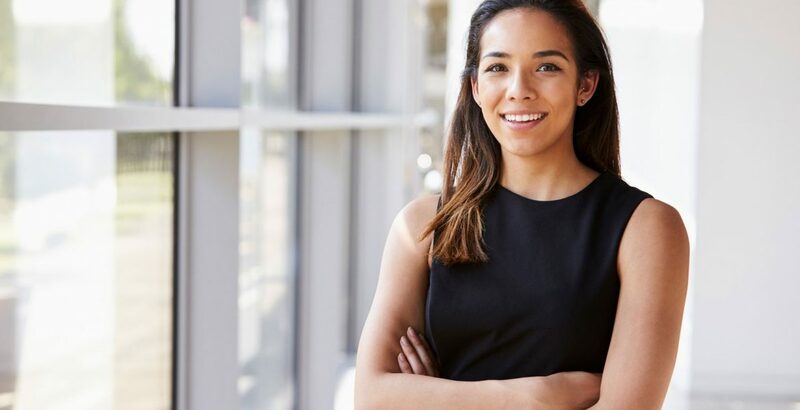 While these numbers surrounding the startup and venture capital world should surprise no one, what might are the millennial female-founded startups making waves in 2018. Here are five companies who have dominated the first half of the year. Modsy helps customers redesign their spaces using 3D modeling technology. Founder Shanna Tellerman, a Google Ventures alum, began her career by founding her first tech company Sim Ops Studios out of graduate school at Carnegie Mellon University’s Entertainment Technology Center, with it eventually being acquired by AutoDesk. Functioning as users’ personal interior decorator, Modsy takes the uncertainty out of purchasing furniture and accessories with a simple, three-step process. First, they create a 3D model of a user’s space through provided photos and measurements. They then deliver two design plans based on their style, budget, and needs. Finally, users can purchase the items they like directly through their provided designs. Named one of Fast Company’s “Most Innovative Companies” of 2017, Glossier’s easy-to-use skincare and makeup has already accrued a throng of celebrity supporters. Founder Emily Weiss — labeled by New York Times as “the beauty guru for millennials — made her name in the industry through her blog Into the Gloss, which has over 650K followers on Instagram. Citing today’s “flawed” beauty paradigm as the inspiration behind the brand, Glossier views itself as “people-powered beauty ecosystem.” Eschewing the notion that critics and out-of-touch executives should have the most powerful voice when it comes to deciding what beauty products should and should not be used, Glossier offers products motivated by their cult following. Fort Mason Games’ founder Kate Gorman was hired at Zynga before graduating from the University of California at Berkeley. She became the company’s youngest Director of Product at age 25, driving revenue for its “Hit it Rich” slots game from $0 to $145M+. With Fort Mason Games, she’s building a new, social mobile game company focused on creating games that are fun, social, artificial intelligence-based, and designed to help players relax and de-stress. Gorman is also determined to reclaim an industry dominated by men by creating new games that everyone will love that also consider the needs of female players. The company’s first mobile game release, Confetti Casino Slots, is taking on the $4.2B social casino game market. Fort Mason Games is planning to release an array of other social games in the near future, aiming to create communities through games people love. The industry’s leading VR animation studio, Baobab Studios has already won an Emmy and lined up a cohort of celebrity collaborators. Co-founder Maureen Fan previously worked on Pixar’s Toy Story 3 and was a leading employee at eBay. The 2017 Emmy-winning title INVASION!, starring Ethan Hawke, was Baobab Studios’ first release, and is subsequently being adapted into a feature film. Baobab’s second VR animation, ASTEROIDS!, starring Elizabeth Banks, was an official 2017 Sundance Film Festival and Cannes Film Festival selection. Their most recent short, Crow: The Legend, features John Legend, premiering earlier this year at Tribeca Film Festival and Cannes. An app designed for busy people, Simple Habit is meant to help people squeeze in a few minutes of meditation during each day. Founder Yunha Kim is a former investment banker on Wall Street, and most recently founded Locket, which was named one of the “Best Apps of 2014” by Google and acquired by Wish. Kim built Simple Habit after discovering the positive effects meditation had on managing the stress of her prior startup. Featured by Apple on the App Store while still in beta, the app was designed by top meditation teachers, and offers more than 1,000 guided meditations for any situation and mood — including before sleep, taking a work break, commuting, and more.